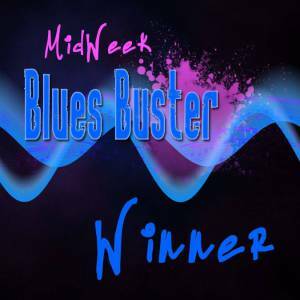 Last week I wrote Xs and Os for Mid-Week Blues Buster 3.07, and I found out today I won. For those of you who write flash fiction, you should try your hand at MWBB. They use a song prompt, and it always makes my mind spin a story. 3.08 is going on right now! I was super excited to win, since this was the first flash piece I’d written in some time. I’ve been so busy this month. Not only have I gone on a semi-second Honeymoon with my husband in Punta Cana (you have to go there), but I published a book, The Devil Within. My mother-in-law came in town, and we took the kids to Stone Mountain. And this coming week I’m going to the Midwest Writer’s Conference. So much going on! And today, I’m celebrating another accomplishment. I went for a run and did 2 miles in 11 minutes 44 seconds. This has taken me forever to accomplish. And now I can work on increasing my mileage over the next few weeks and speed. I’m intending to do a 5K sometime later in the year (because you know, I don’t have enough on my plate). I mostly run because it helps keep the weight off and I’ve struggled with weight for some time. I also do it so I can organize the thoughts in my head. Running is great for planning and plotting out works-in-progress. Today, I worked on figuring out the next steps in the new Southern Lit novel I’m working on. More details on that later, when I’m at a point where I feel like I can share.